« Zero waste – what is it, and how to reduce waste production? When can you say that the clothing is ecological? Is it when it is made of appropriate materials? When it was sewn by a local company? When it was sewn by hand? Not completely. Ecological clothing is when we serve as long as possible and makes us not have to reach for another, new thing. Clothing industry – at war with ecology. The fashion industry has a lot on conscience. Above all, it is responsible for putting in a vortex of a huge consumer machine. Tempted by advertisements, convinced of what falls out, which under no circumstances should be in the wardrobe, we buy a lot too much. More than any of us needs. Another sin of the clothing industry is the production of a huge number of waste and environmental pollution. Add to that also the exploitation of workers – many companies produce their clothes in the Third World, in conditions that degrade human dignity. Sewing “fashionable” clothes that are used even by the youngest children. However, not only people are victims of the fashion industry – terrifying statistics show how many animals are killed each year to create a coat or fashionable accessories from their fur. The image that is drawn before us has little to do with what we see in catalogs and magazines. Fashionable clothes are often created at the expense of harm done to man, animals and the whole environment. An alternative to fast fashion. Of course, we cannot generalize – not every clothing company works unethically. More and more ecological Fair Trade brands appear in the world. Their clothes are produced honestly and without harm to the environment (or at least in a much less harmful way). Unfortunately, the amount of Fair Trade clothes is relatively small, and their prices are usually very high. For this reason, most consumers are not able to dress only in a eco – manner. 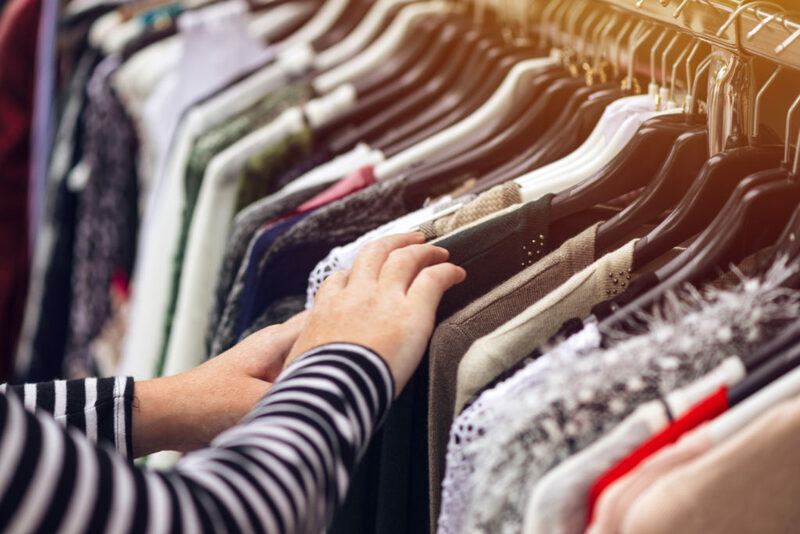 For those who do not want to support unethical clothing companies, there is one more, much easier way out – used clothing stores. Second handy to protect ecology. Second hand shops, in other words, stores in which you can buy second-hand clothes, are a way of cheap and ecological fashion. By buying used clothes, you give them a new life. First of all, you protect them from wasting (to the detriment of the environment caused by each ejected item). Secondly, you limit the need to produce new clothes, keeping in circulation those that have already reached it. Do you want to do something good for the environment? Next time, instead of a clothing network brand, go to the second hand. Do not be afraid that you will find dirt and clothes on site that are not even suitable for wiping the floor. Contemporary second hand shops, are more and more reminiscent of stylish boutiques and hide real fashion pearls!